It might not even be a full point release - a point-point release, perhaps? - but the Logic Pro X 10.4.2 update still contains a few significant new features. Most notably, you can now relocate Logic Pro X’s not inconsiderable sound library to an external storage device, which will be music to the ears of those who are struggling for space on their relatively weeny internal SDD. Elsewhere, Smart Tempo has got smarter: it can now analyse the tempo across multiple multitrack recordings to define the project tempo, and also analyse the tempo of MIDI performances recorded without a metronome. Imprrovements have also been made to Alchemy and the automation workflow, and there’s a new mixer mode. Housekeeping hounds, meanwhile, will appreciate the ability to add a photo to track or project notes to help them recall session details or studio hardware settings (or anything else, for that matter). 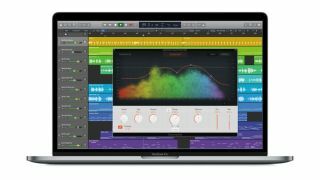 As well as the Logic update, Apple has also updated its MainStage live performance software. Again, the library can now be moved to an external storage device, and there are new plugins lifted from Logic Pro X. You can check out the full Logic Pro X 10.4.2 and MainStage 3.4 release notes on the Apple website. The updates are free.